What types of trips do you offer and who are your customers? Many consider Boundless Journeys trips to be a bucket list for the adventurer’s soul. Our itineraries span from majestic peaks to lush landscapes, from serene deserts to dramatic coastlines, and from historical meccas to the world’s great wildernesses. We match these unique lands with the best possible ways to experience them, combining engaging activities with serendipitous events that reflect our passion for discovery. Although we offer some challenging physical adventures – treks and expeditions – these are complemented by more leisurely cultural explorations and incredible wildlife experiences in the Boundless Journeys collection. You may find yourself trekking past Andean peaks, kayaking the calm waters of Palau, or sampling the finest vintages in a Tuscan hilltop village after a beautifully scenic walk. No matter which journey you choose, the opportunities for adventure are, well, boundless. 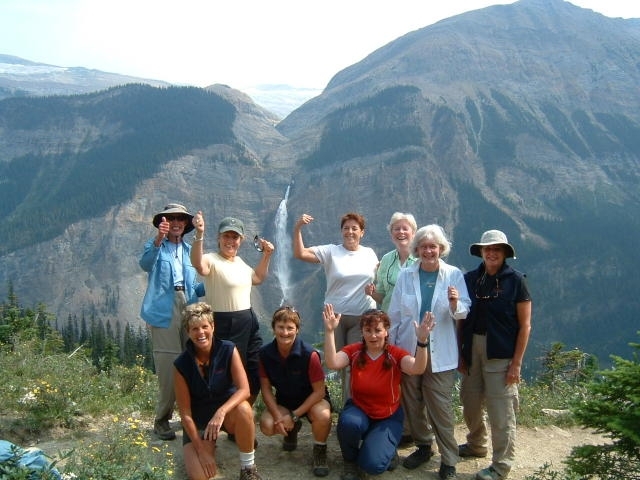 Our guests are active people who enjoy traveling off the beaten path with small groups of like minded travelers. There are no large tour buses or long lines to stand in – our journeys tap into local character, exploring back roads, intimate spots, and the lesser-known gems that exude a sense of place. Can I physically handle a Boundless Journeys trip? How do I know if I am fit enough? It’s amusing how often we get this question, or hear from people that they think that they will not be able to handle one of our trips. We offer a variety of trips that are appropriate for all fitness levels. Give us a call and our home team will be happy to chat with you about the trip you are interested in. When you call, you’ll be able to speak with someone who is knowledgeable about the trip you are considering. On the easy end of the spectrum we offer nature trips such as African Safaris and Galapagos Cruises, and cultural excursions to places like India and Indochina. These all require very little physical exertion. Next we have easy walking tours such as Tuscany, Ireland, and Turkey, which involve relatively easy strolling through beautiful countryside wrapped up in charming inns and hotels, with fine cuisine, and excellent local guides. We have many other journeys that escalate in challenge to our most challenging trips which tend to be trekking adventures in the Andes or Himalayas. We really do have something for everyone, easy to hard, young to old. What is the most fun part about your company? Exploring the world and meeting new people. Each travel experience presents an opportunity to broaden our horizons and re-discover ourselves. Tell us about a favorite travel moment. Ice climbing on the Eyjafjallajökull Glacier in Iceland. About 10 women and I donned crampons, helmets, harnesses, and ice picks as we set off on this exciting adventure. Together we explored ice caves and crevasses and enjoyed a picnic on the densely packed, blue-tinged ice. The mutual trust and friendship that arose in a short time from embarking on this new experience together was what made it so special.